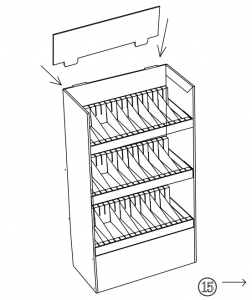 Home | Blog | How to choose the right cosmetic display stand for your cosmetics brand? 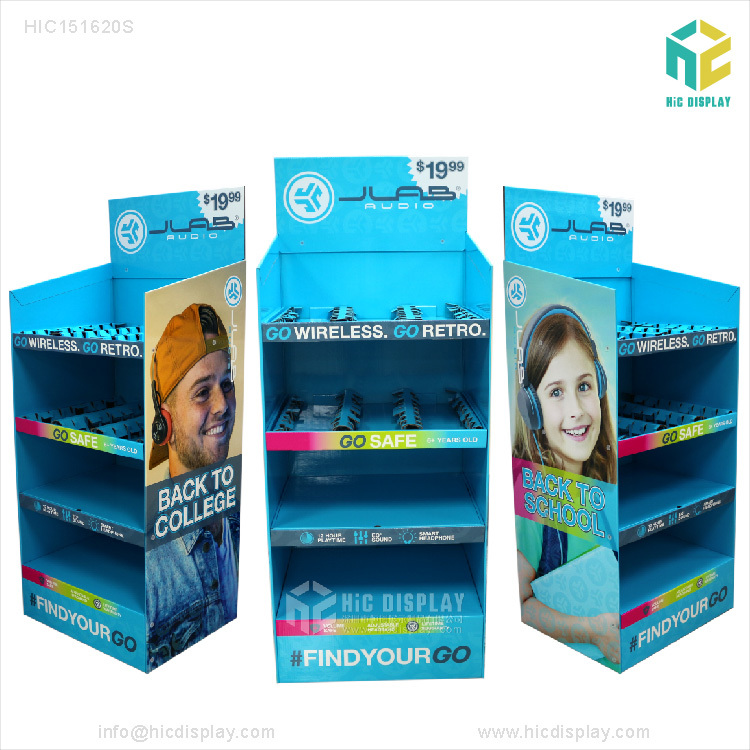 The development of cosmetic display stands is of course closely linked to the development of cosmetics. 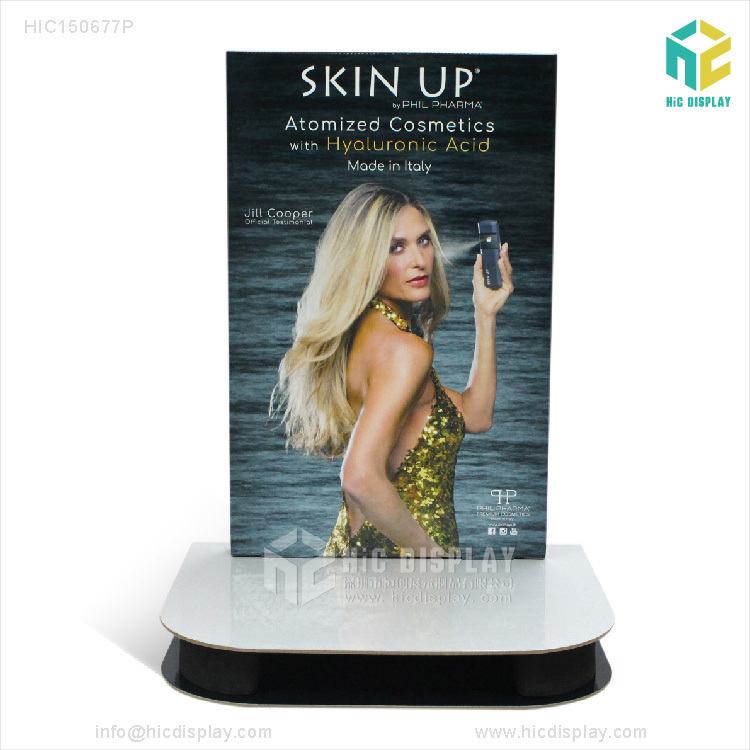 The cosmetics display stand is an indispensable item for the mall to display cosmetics and skin care products. 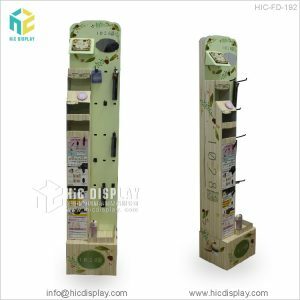 The design of the display stand itself is designed and customized according to the performance and characteristics of the products. This has played a very good role in the promotion and display of cosmetics information. 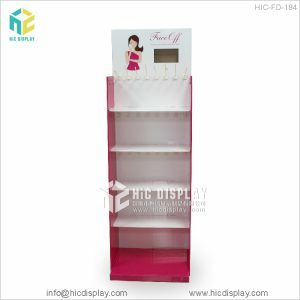 Usually we will hesitate to choose what kind of material cosmetics display stand, the most commonly used is acrylic and paper materials. How to choose? Cosmetics are fast-moving consumer products. They have a short life cycle, are easy to apply repeatedly, and have fast iterations. 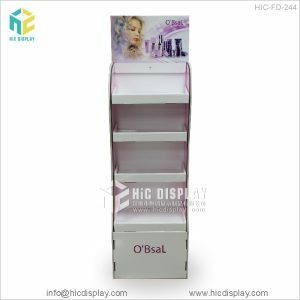 In many cases, cosmetics should constantly change propaganda, new products, seasonal changes, holiday promotions, so cosmetics display stands should also be able to quickly meet the needs of low-cost cosmetic products. 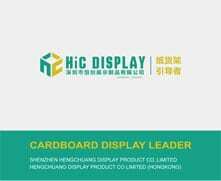 The cardboard display stand can be used to quickly change propaganda information by simply replacing the head cards. 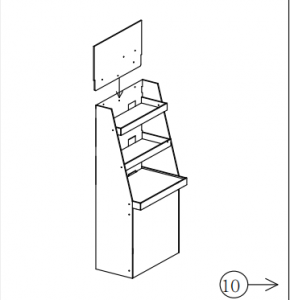 Cosmetics on the acrylic display stand, with special lighting (which will add extra cost), will look very high-end atmosphere. However, cosmetics are popular products. The high-end atmosphere is not close to the people. 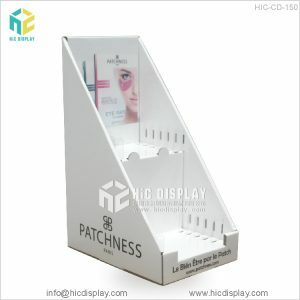 The use of cardboard cosmetics display stands will not have such problems. 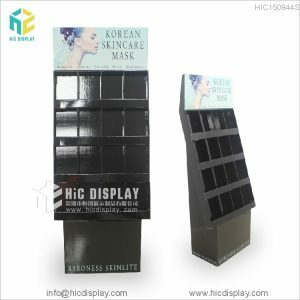 The cardboard cosmetic display stands are environmentally friendly, do not require special lights, and the color display is also very good. It is very close to the people. 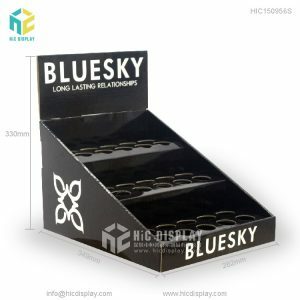 So, in contrast, overall, it is more suitable to use the cardboard cosmetics display stand to develop our cosmetics brand. 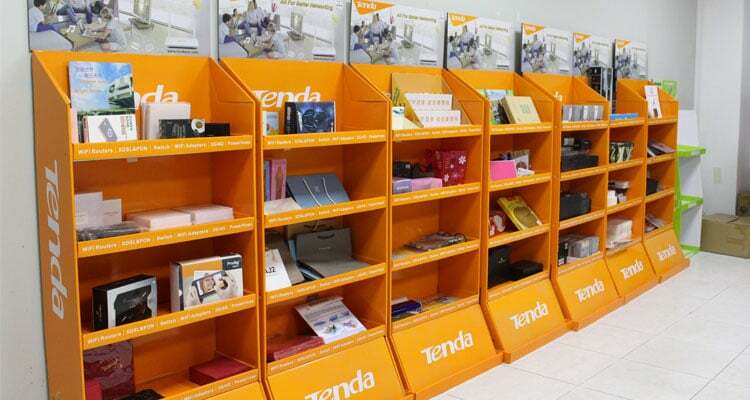 There are many types of cardboard display stands. How do you choose this? Cosmetic display stands should be customized according to the product, including mask display stands, lipstick display stands, nail polish display stands, body lotion display stands, desktop display stands, floor display stands, rotating display stands, metal hook display stands, etc.